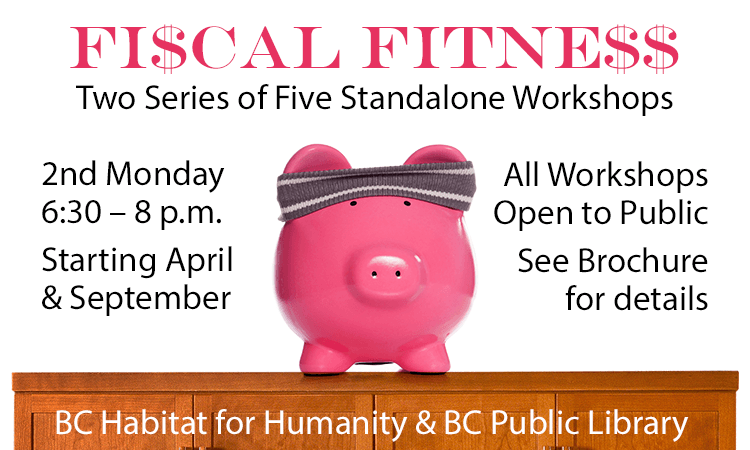 This series of five monthly workshops begins again in April 2018. Programs are designed to help participants realize the power they have to make a difference in their family’s finances. 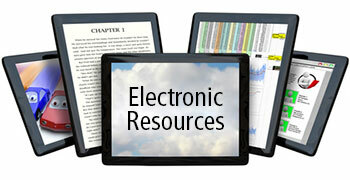 See the Library’s Fiscal Fitness brochure for details about this series and additional resources. These presentations are standalone sessions so that the public can enjoy one or as many topics as interest and time permit. Sessions are held on the second Monday of each month, at 6:30 p.m., in Dorothy Herron Room A or the Kathy Pagles Board Room at the Blount County Public Library. April 9, 2018 – Understanding Your Credit and Underwriting by Sarah Hooks, Family Services Director at Habitat for Humanity. June 11, 2018 – Identity Theft & Credit Fraud Presented by Regions Bank. July 9, 2018 – Homeowner’s Insurance by Charlotte Chance, Agency Owner of Farmers Insurance. August 13, 2018 – Selling Your Home by LeConte Realty, LLC. Open to the public, this program is hosted by Blount County Public Library located at 508 N. Cusick Street, Maryville. For further information about library programs or services, call the library at (865) 982-0981 or visit the Web site at www.blounttn.org/197.